The new range of Galaxy phones caught your eye? Can’t decide which 1 to go for? We’ve got a lowdown on each 1 to help you decide. Samsung’s unveiled the next generation of smartphones, and we’re in love with them already. That brand-new ‘Infinity-O’ display and seriously impressive cameras on all 3 new phones mean that picking 1 to take home is harder than ever. Here’s the lowdown on each new S10 to help you decide. A 6.1in WQHD+ Infinity-O display which is a curved, edge-to-edge display that gives you an uninterrupted view. Yep, that’s right – totally uninterrupted, the notch and home button are nowhere to be seen. No distractions make for completely immersive viewing. As gorgeous as the S10 is, it’s not all about looks. If adding to your Insta story is more important than texting your mum, you’ll want to hear about the camera on the new S10. How does a 10MP front-facing camera and a triple rear camera, including a 16MP Ultra-Wide lens, a 12MP telephoto lens and a 12MP zoom lens sound? You’ll be able to snap moments as you see them and those Ultra-Wide and zoom lenses mean you’ll be able to capture every angle of a scene. Ever spent so long setting up the perfect ‘candid’ shot for the ‘gram that your phone runs out of juice before you’ve had the chance to take the pic? Annoying, right? That’s not a problem for the S10 though. It stays charged when it matters most. And, if you do need a quick power boost, Wireless Charging 2.0 charges your battery up quickly. 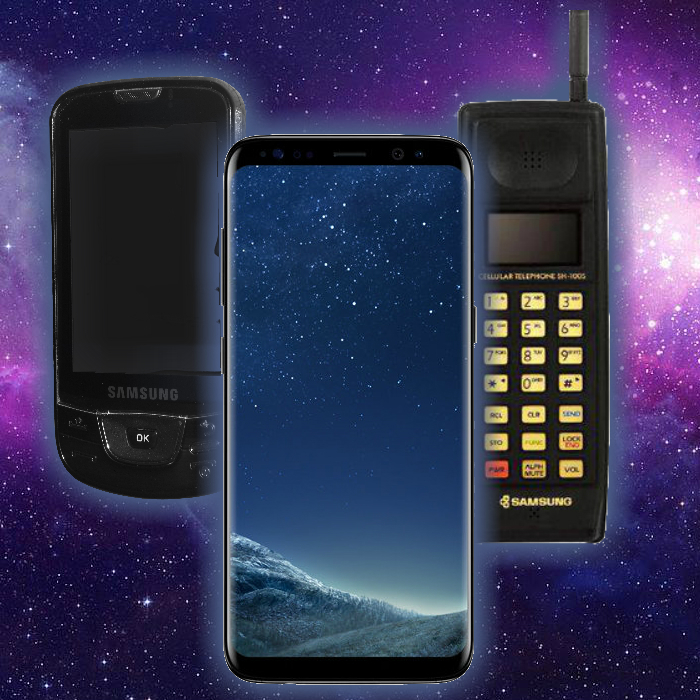 Want the premium Galaxy experience? Then the S10’s for you. How could Samsung possibly manage to improve on those impressive S10 specs? With more power, a bigger screen, bigger battery and more cameras, that’s how. They’ve not held back when it comes to the S10+. The 6.4in curved screen wraps from edge-to-edge, without the notch or home button and only a subtle dot for the front camera giving the S10+ an incredible screen-to-body ratio.. The S10+ lets you shoot like a pro photographer with zero effort. The triple lens rear camera has Telephoto, Wide-Angle and Ultra-Wide lenses and uses Live Focus and shot suggestions to help you take pro-quality shots without even trying. And, the new dual front-facing camera with both 8 and 10MP lenses lets you play around with depth of field, creating you best selfies ever. The S10+ comes with 128 or 512GB internal storage and the option of either 8 or 12GB RAM too. The powerful S10+ makes every task quicker and smoother. If a supercharged Galaxy experience sounds like a bit of you, order the S10+ today. If a more compact design is more your bag, the S10e’s for you. And just because it’s smaller doesn’t mean you’ll be missing out on that awesome new Samsung tech. Loads of the good stuff’s still in there; a powerful processor, a 10MP front-facing camera, 12 and 16MP dual rear camera with Live Focus and then there’s Fast Wireless charging 2.0 and enough power to share with Wireless Powershare. One of the biggest differences is the new, 5.8in flat HD+ Infinity-O display. It still looks good; that flawless screen, no notch and a small cut out for the front camera. All of that makes it perfect for immersive viewing, like it’s bigger counterparts. Small, perfectly formed and full to the brim with Samsung’s next generation tech; get your new Samsung Galaxy S10e now. 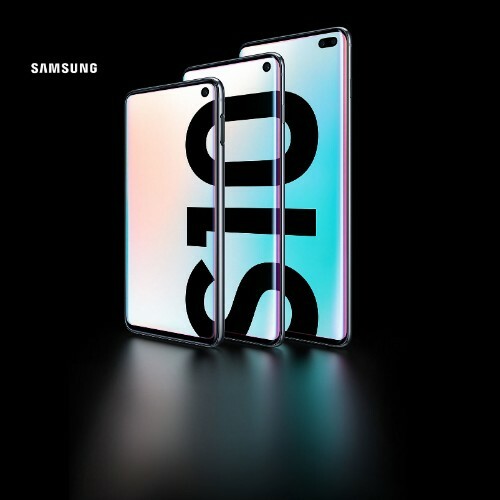 Get your new Samsung Galaxy S10, S10+ or S10e today on Three, the UK’s best network for data as voted by Mobile Choice consumers and enjoy endless streaming and Snapchat with Go Binge; use your phone in over 70 destinations worldwide with Go Roam; get travel upgrades from easyJet; and enjoy treats and deals exclusively for Three customers with our rewards app, wuntu.